Kishore Vaigyanik Protsahan Yojana: stream-wise eligibility criteria and syllabus, tentative dates of examination and cut-off scores, the advantages of the KVPY Fellowship Programme, preparation tips and more. The Kishore Vaigyanik Protsahan Yojana (KVPY) is a national fellowship programme, initiated and funded by the Department of Science and Technology, Government of India, and conducted by Indian Institute of Science. It promotes research careers in basic science courses to ensure the growth of scientific research and development in the country. The best scientific minds of the nation are selected through a rigorous selection procedure based on test scores, both of board exams and the KVPY scores. The details of the KVPY Fellowship Programme are given below. Quite a number of institutions in India provide admissions for KVPY Fellows based on cut-off marks and/or interview (depending upon the institution), such as Indian Institute of Science (IISc), Bangalore; Indian Institute of Information and Technology (IIIT), Hyderabad, and several Indian Institutes of Science Education and Research (IISERs). For its 4-year B.S. Research Programme, IISc considers KVPY candidates who score more than the cut-off marks. IIIT Hyderabad offers admissions to KVPY students into its Computational Natural Sciences (CND) course on the basis of additional rounds of written test and interview. The IISERs of Berhampur, Bhopal, Kolkata, Mohali, Pune, Thiruvananthapuram, and Tirupati provide admissions to KVPY candidates into their 5-year integrated B.S.-M.S. Dual Degree Programme. Students must acquire 75% (65% for SC/ST/PWD) aggregate in MATHS and SCIENCE subjects in Class X Board Examination to apply for the Fellowship. To avail fellowship, selected candidates with 60% (50% for SC/ST/PWD) marks in MATHS and SCIENCE subjects in Class XII Board Examinations must enroll in Pure Science undergraduate programmes. SX (to be written by Class 12 students) Students must acquire 75% (65% for SC/ST/PWD) aggregate in MATHS and SCIENCE subjects in Class X Board Examinations to apply for the fellowship. The selected candidates must secure 60% (50% for SC/ST/PWD) marks in MATHS and SCIENCE subjects in their Class XII Board Examinations and enroll in Pure Science undergraduate programmes to avail fellowship. SB (to be written by first-year Science graduate students) Students must acquire 60% (50% for SC/ST/PWD) marks in MATHS and SCIENCE subjects in their Class XII Board Examinations to apply for the Fellowship. Only the selected candidates who obtain 60% (50% for SC/ST/PWD) marks in the graduation first year examination in basic science courses, which include Chemistry, Physics, Mathematics, Statistics, Biochemistry, Microbiology, Cellular Biology, Ecology, Molecular Biology, Botany, Zoology, Physiology, Biotechnology, Neurosciences, Bioinformatics, Marine Biology, Geology, Human Biology, Genetics, Biomedical Sciences, Applied Physics, Geophysics, Material Sciences, and Environmental Sciences, can avail fellowship. *Students who are selected as KVPY fellows after SA examination will be invited to the National Science (Vijyoshi) Camp during the interim of one year, and their travel and other related expenses will be met by KVPY. The aptitude test is conducted online. The duration of examination is three hours. The exam consists of multiple-choice type questions. In this examination, only 80 questions have to be answered. For SA stream, all questions (60 questions in Part 1 and 20 questions in Part 2) are compulsory. For SX/SB, there is a choice of answering any three sections in Part 1 and any two sections in Part 2 (60 questions in Part 1 and 20 questions in Part 2). In Part 1, one mark is awarded for every correct answer, and 0.25 mark is deducted for each incorrect answer. In Part 2, two marks are awarded for every correct answer, and 0.5 marks are deducted for each incorrect answer. The question paper carries 100 maximum marks. The cut-off scores of KVPY vary every year by an average of 2%–5%, depending upon the number of applications received. The average cut-off scores of 2017 are shown below. The final result is based on a total of 75% of aptitude test score and 25% of interview score. Scholarship money: Eligible candidates receive ₹5,000 monthly and an annual contingency grant of ₹20,000 for the first 3 years, and ₹7,000 and ₹28,000 for the next two years, respectively. The total grant is quite helpful for students hailing from a lower economic background. admission to IISc and the IISERs: This exam provides an entry to esteemed educational institutions of India for pursuing a career in subjects related to Pure Science. 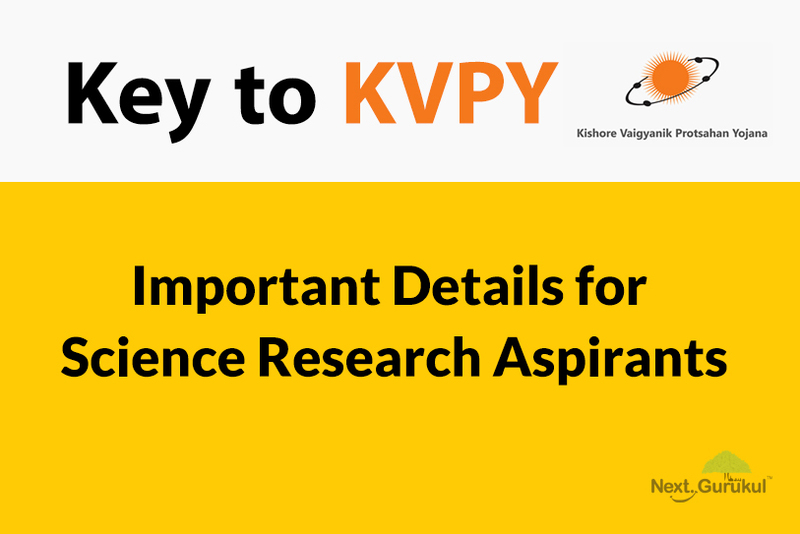 Research project experience from XII standard: The KVPY Fellows can build their research experience from the mandatory summer programme/project which is evaluated by the Head of the Department/Institution. Access to national libraries and laboratory facilities: Students having a KVPY ID card can visit any national library or laboratory for research purposes. Adds weightage to CV: It increases the chances of students opting for higher studies or a job in India’s esteemed organizations and even foreign locations. Networking with people of similar aspirations: The summer programme in the Vijyoshi camp is a platform to connect with people of similar interests, which can be turn out to be a professional benefit in future. 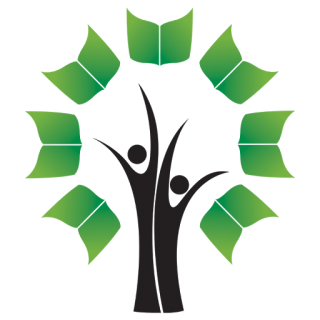 To prepare for KVPY examination, it is important to analyze its syllabus and exam pattern. Thereafter, creating and following a timetable which suits the needs of both Board Exams and KVPY aptitude test will be helpful. The NCERT textbooks are good for strengthening the concepts and some additional reference books would help in gaining clarity on the concepts. Practicing previous years’ KVPY aptitude test papers and online mock tests gives an idea about the format of the question paper in general, and revising the previously studied parts regularly also keeps the concepts refreshed. These methods will not only help one in obtaining a good score in the test but will also help to create a base for a long-term career in the field of Science.